When I’m in Markham, I’m usually eating dim sum or Chinese. 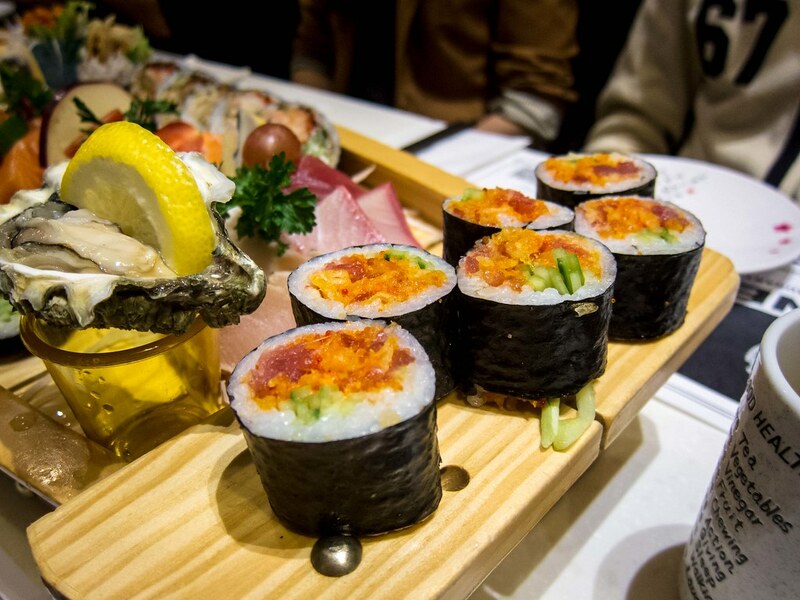 Japanese used to be a regular occurrence, but since moving to North York, I’m satisfied with the selection of restaurants close to home. 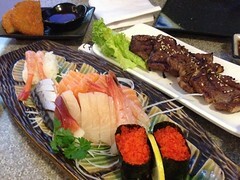 When a group of friends suggested dinner at Mi-Ne Sushi’s new Markham location, I was eager to check it out. 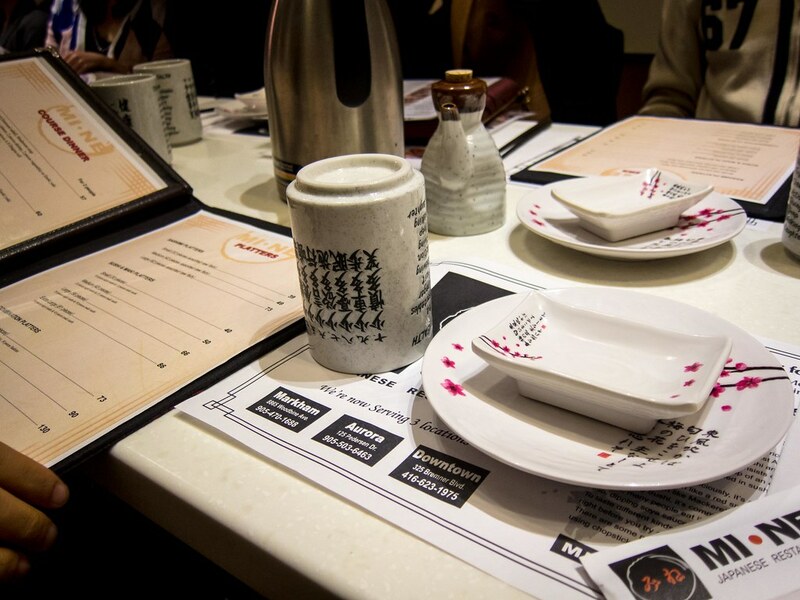 Atmosphere: Our group of 12 was seated at a long row of tables in a private section of the restaurant. The restaurant was full of mostly couples and families. The decor was clean and modern with Asian inspired elements like rice paper shades and wooden Japanese dolls. Service: Each table at Mi-Ne was equipped with a ring for service bell, one that I felt really guilty pressing. 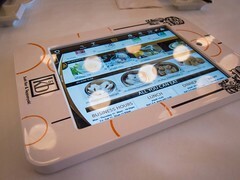 A large table is hard to manage, the restaurant was busy and they did just open. Counting all of those factors, service was slow but not for lack of effort. We had two servers looking over our table and it took over ten minutes to get a refill for teapots. The servers were genuinely apologetic with the delays, which was what caused the guilt whenever I pressed the service button. Our food did arrive quickly and 95% at the same time. 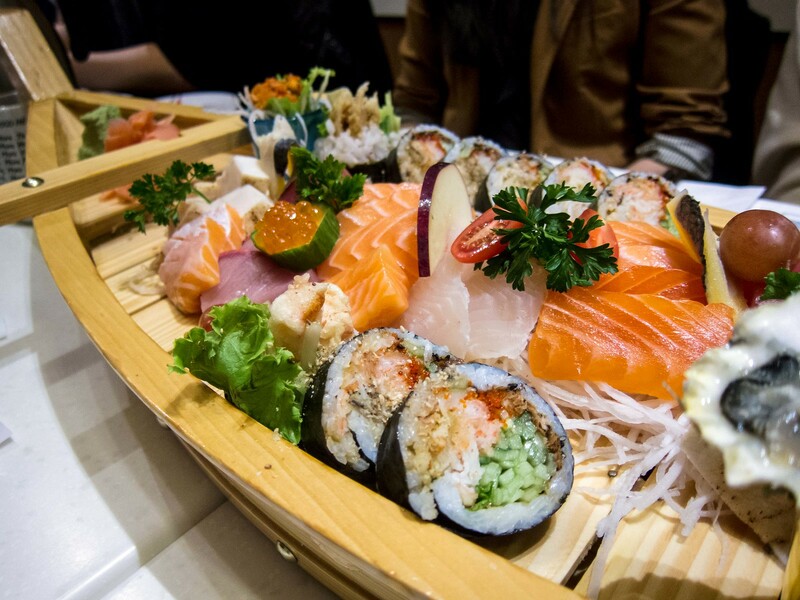 Food: Myself, The Fiance and another couple split a medium sashimi boat, 42 pieces for $49, and two rolls. 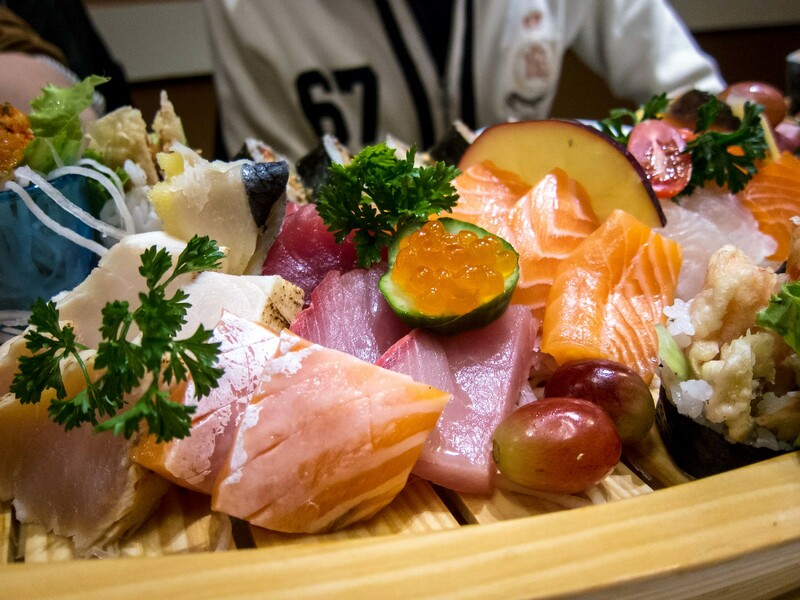 A standard variety of fish was used including salmon, seared tuna, red snapper, mackerel and tobiko. All of the fish was fresh, sweet and cut into the perfect size. I would’ve loved a little more selection, but I was happy with the quality of the fish that was served. The two rolls we ordered were spider and spicy tuna. Both rolls had a thin layer of rice and a generous amount of filling. I had to take two bites for each piece of spider roll. The flavour of the soft shell crab was muted that night but the textures were great and I still enjoyed the roll. Oddly, the spicy tuna didn’t use any mayo, just hot sauce, which made the roll very spicy. It was tasty, just hot. A single complimentary oyster was served, perched on a shot glass. I won the rock-paper-scissors challenge and had the pleasure of slurping it back. At this point, the rest of our table realized their orders were massive and couldn’t finish. We realized we were still kinda hungry. 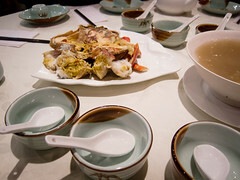 Many of the cooked dinner specials (raning from $21-$32) were large portions and came with multiple courses . For example, the Sushi and Udon meal came with udon, tempura, and 7 pieces of sushi. My little group of four decided to add an order of Tempura Udon to our meal and that filled everyone (ok so it was me that was hungry) up nicely. The tempura arrived separately from the still boiling pot of udon. 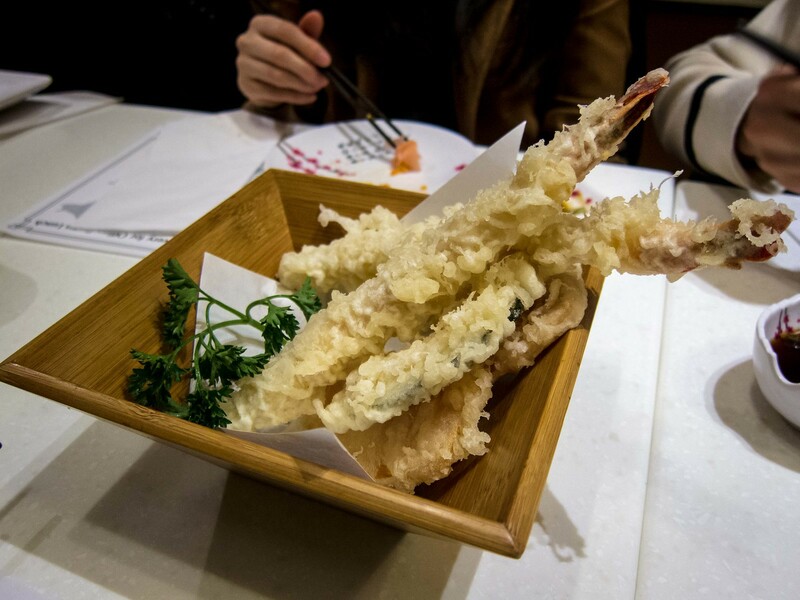 The shrimp tempura was a little doughy while the vegetable pieces were light and tasty. 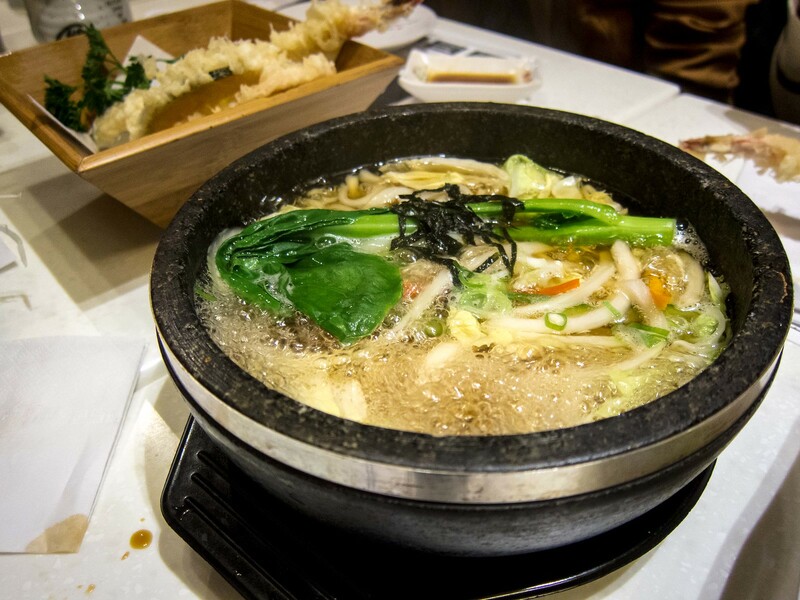 I really liked the udon broth that was light, full of vegetables and had great depth of flavour. 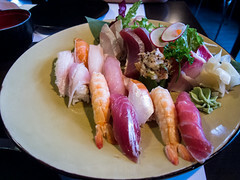 Overall, the sashimi I had at Mi-Ne Sushi was very fresh and the cooked dishes were also impressive. 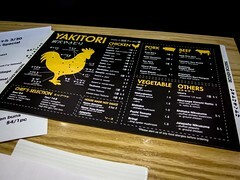 The price tag is higher than a casual Japanese restaurant. I’d go back for a birthday or group dinner, but not for a weekday, I’m-too-lazy-to-cook meal.